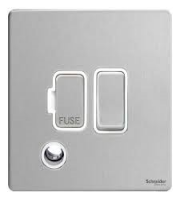 Most switches and sockets require a screw on application, however our stylish range of screwless metal accessories by Schneider Electric have bucked the trend by delivering a fuss-free screwless installation process. 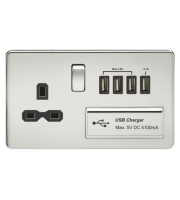 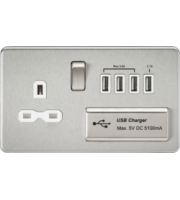 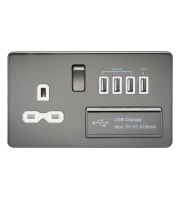 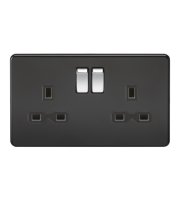 Our screwless flat plates provide a well engineered design and an ultra smart finish, leaving no holes for screwing, these easy-fit screwless accessories simply clip on to your mounting system. 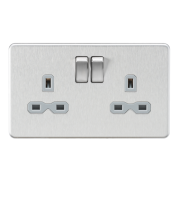 These sophisticated fittings ooze convenience as well as style. 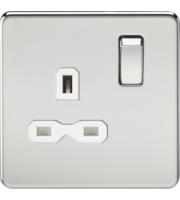 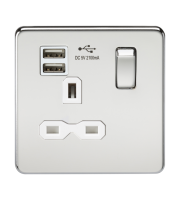 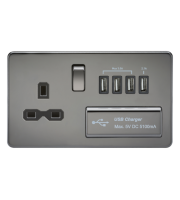 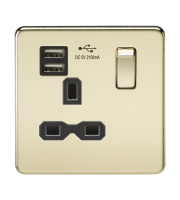 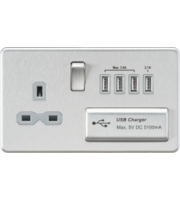 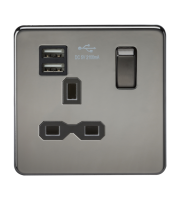 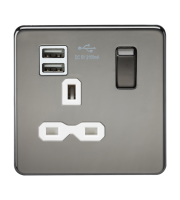 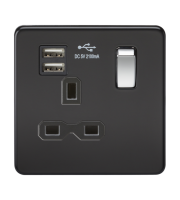 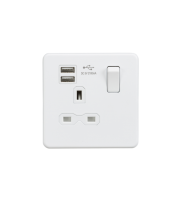 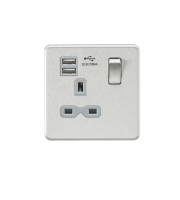 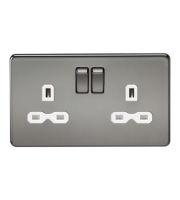 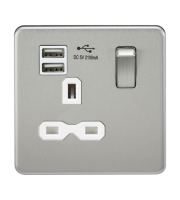 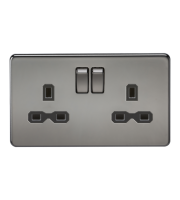 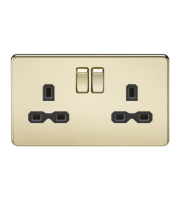 Within our screwless metal accessories range you can find a whole host of products, these include double pole switches, flat plates with flex outlets, 1-4 gang switches and switch sockets. 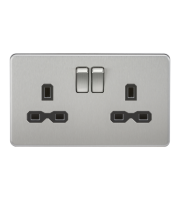 These screwless switches and sockets are just as robust as conventional screw-in models and offer the exact same performance levels. 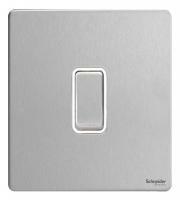 It’s all these stylish design traits and innovations which helps to separate Schneider Electric from the rest of them. 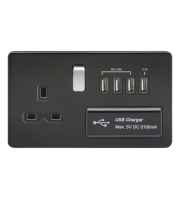 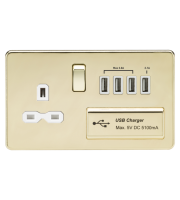 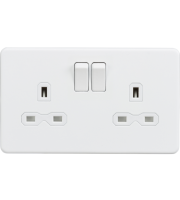 This brand is now a leading name within the electrical accessories market, they are frequently on the supply list for electrical contractors and people who want to adopt nothing high quality electrical accessories. 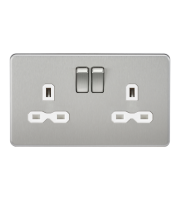 Their polished and professional appearance as well as this fresh approach to screwless installation continues to impress those who discover and experience them. 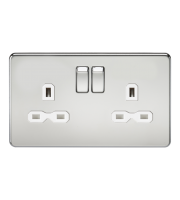 As well as the screwless features and the polished looks many of the flat plates come with colour coded terminals to help cable insertion and selection. 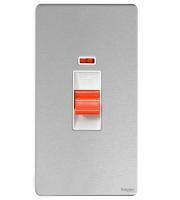 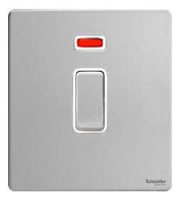 So all in all with its looks, convenience, installation, durability and usability, the GET ultimate screwless range by Schneider is one of the best switches and sockets selections in the world. 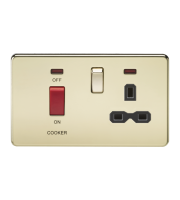 With so many matching models you can create a consistent theme throughout the entire home or workplace. 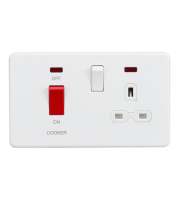 All of our electrical accessories have been safety checked and tested, guaranteeing that when you go to install and use these products they will not let you down. 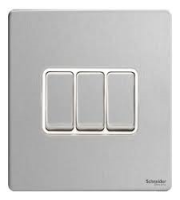 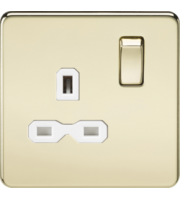 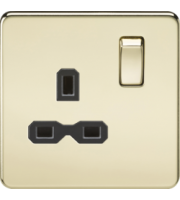 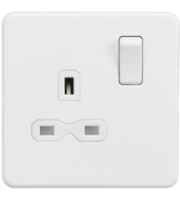 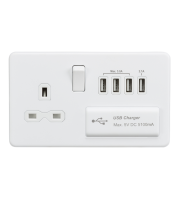 Schneider Electric are renowned for their luxury feel and quality build, so if you’re in the process of installing switches, sockets and flat plates into your home, office or venue remember the Schneider Electric brand!